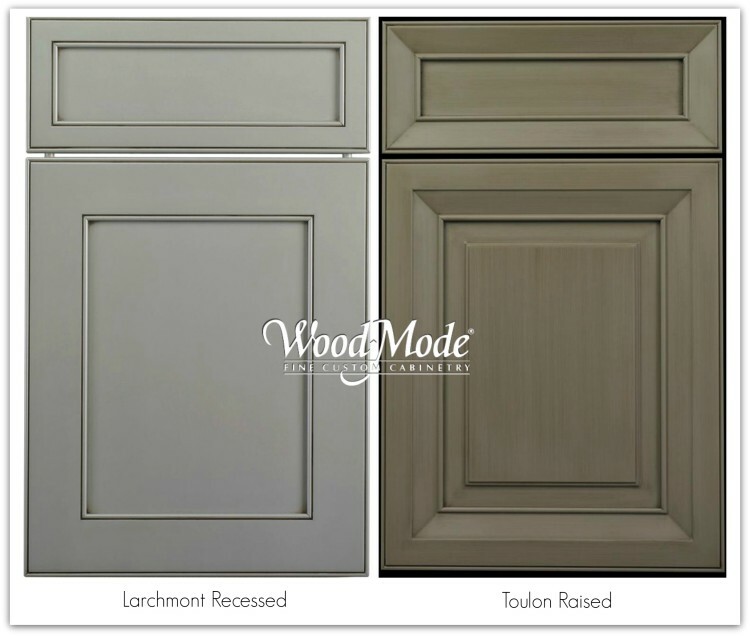 Wood Mode’s Custom Kitchen Cabinetry Is Now Available For Your Whole Home! 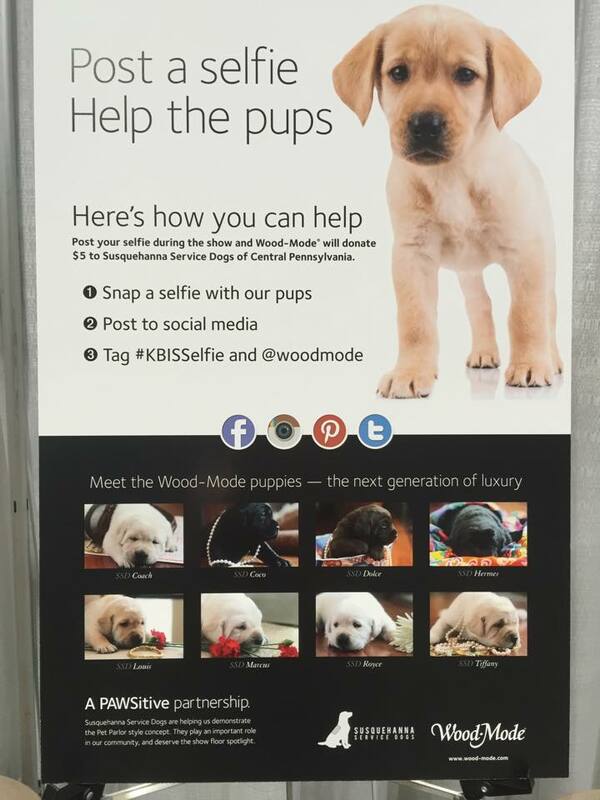 Over the course of their 70-year history, Wood-Mode, another wonderful #BlogTourVegas sponsor of Leslie Hendrix Wood ‘s to #KBIS2015, has built a reputation for fashion-forward designs, superior quality, and fine craftsmanship, with a dedication to protecting the environment. 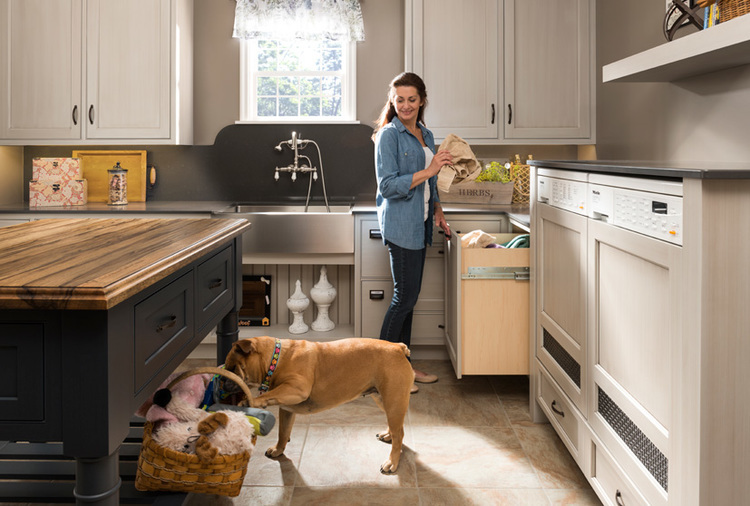 From the first cabinet built in a small Pennsylvania lumber mill, long ago in 1942, to custom kitchens completed in their state-of-the-art facility today, each Wood-Mode cabinet has been and continue to be proudly Made in the USA – by three generations of skilled American craftsmen. 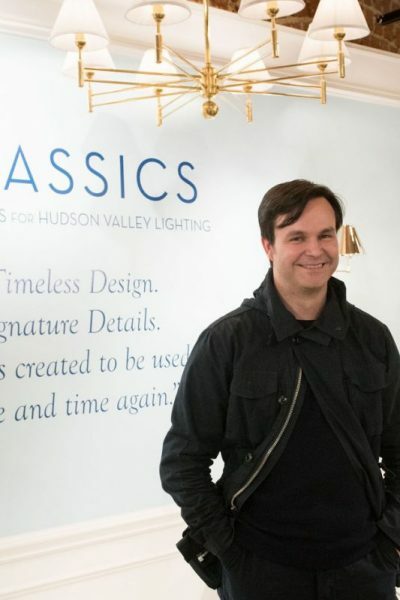 If you’re a long time reader of Hadley Court, you know we believe in family traditions and today’s sponsored post brings you, dear readers, a deep dive into all the ways in which one of America’s finest family owned cabinet companies can help you create a gracious living environment in not only your own kitchens and baths, but in your entire home. 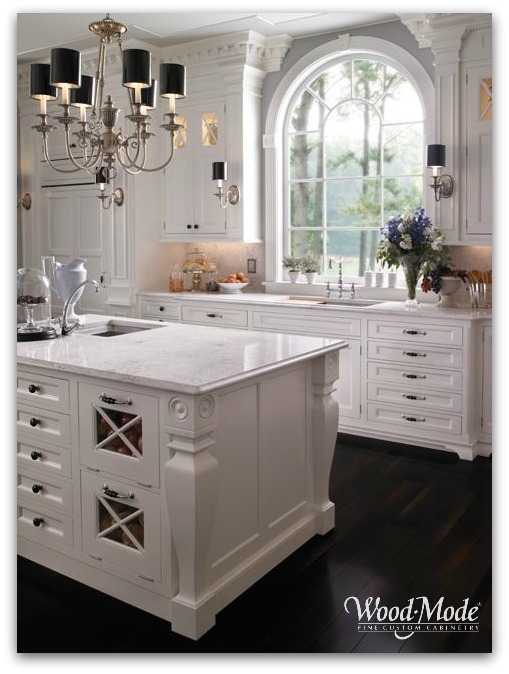 Wood-Mode Custom Cabinetry adds luxury craftsmanship to your kitchen design, from cabinets, to kitchen islands, to the ever growing popularity of custom cabinetry encasing custom wood range hoods, a focal point in the design of many of today’s luxury kitchen designs. 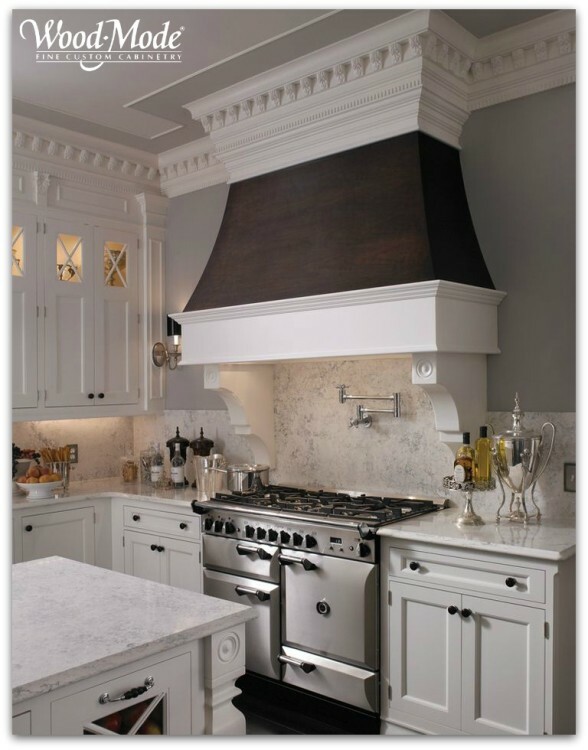 Their Southampton Concave Hood is featured above in this kitchen inspired by classic Georgian architecture. The dual islands and a wall of tall pantry plus china storage provide functional efficiency. 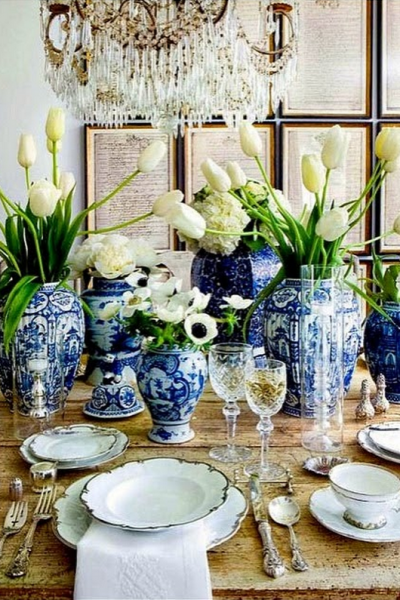 That’s what we call….Gracious Living. Working with a talented designer like Leslie Hendrix Wood who can guide you, readers, enables you to customize your home’s storage needs with luxury custom cabinets from Wood-Mode, which are not only for kitchens and bathrooms, but also custom closets & wardrobes, entertainment centers, home offices & libraries, wine cellars & bars for entertaining, and even custom millwork for your fireplace…. 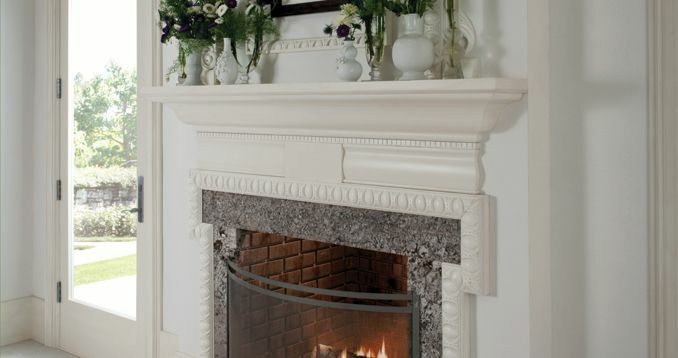 The Wood-Mode modern-history fireplace combines historic architectural elements with a clean, modern sensibility. 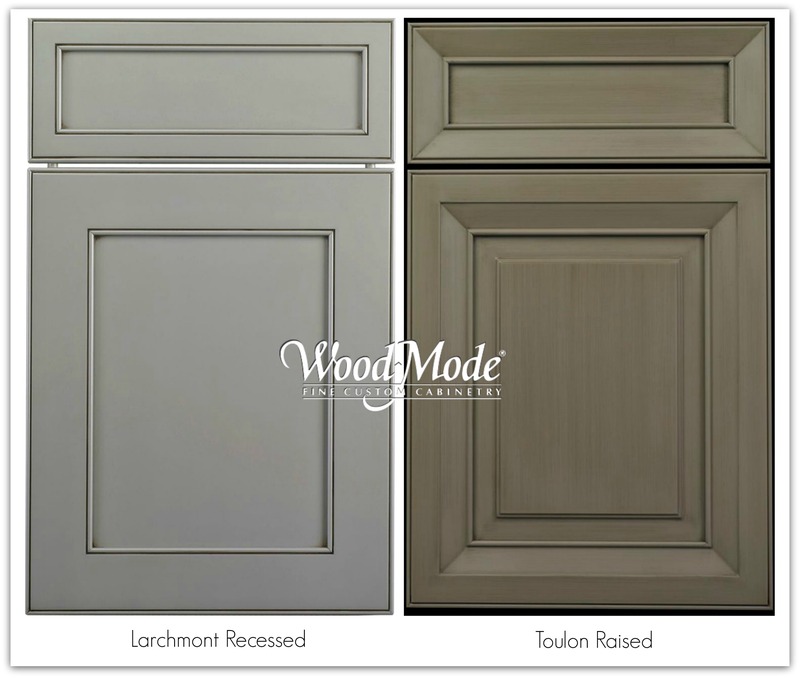 Wood-Mode has an extensive selection of more than 90 standard wood finish colors, from traditional mahogany and java stains to warm blonde woods to classic whites – and also growing in popularity in the kitchen & bath design industries: Shades of Grey, as shown above. They also carry two standard finish sheen levels and nearly three dozen standard laminates to satisfy a wide range of tastes and lifestyles. In addition, Wood-Mode will custom match unique finishes to your specifications. Cherry: A hardwood that is elegant and characterized by a tight grain pattern and subtle color variations. Cherry can darken with age—a natural process that is warming, adding charm and character. Maple: A very versatile hardwood that is finely grained and known for its distinctive burl patterns. Heartwood Maple: The beauty of Maple in a rustic package including natural streaks, checks, and heavier burl. It is usually found in the wood that comes from the core of the tree. Oak: An extremely durable and affordable hardwood that many appreciate for its prominent grain, beauty and strength. Pine: A softwood with circular grain and random knots that is warm and inviting. If purposely distressed, it will take on an antique quality. Timeless design elements, such as classic architectural details including an eyebrow pediment above the mirrored cabinet, enhance the formal English appeal of this Kensington Court bathroom. This spacious Wood-Mode bath includes luxurious West Indies styling, combining traditional European Colonial influences with shell details, rattan and other exotic island motifs. 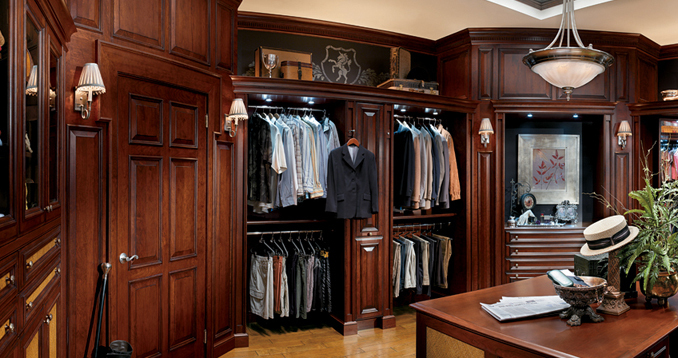 This Hunt Club Valet dressing room combines high fashion with practical functionality through its spacious walk-in closet and plentiful convenience options for organizing your wardrobe. These Wood-Mode bedroom storage pieces create a luxurious space with rich heirloom finishes and grand architectural carvings. Wood-Mode can even customize details to create a Pet Parlor for your four legged family members – which they brought along with them to their booth at KBIS as part of their PAWSitive Partnership! Quality craftsmanship, Made in America, a family owned company for 3 generations, timeless design, and giving back? 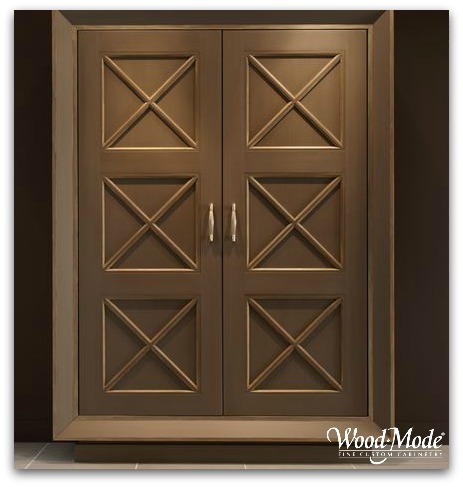 Here at Hadley Court, we’re sold on Wood-Mode and we hope, next time you are in the market for beautiful cabinetry and looking to do business with a company that reflects those values, too, you will consider Wood Mode. For additional information plus a gallery of images, please visit www.wood-mode.com. 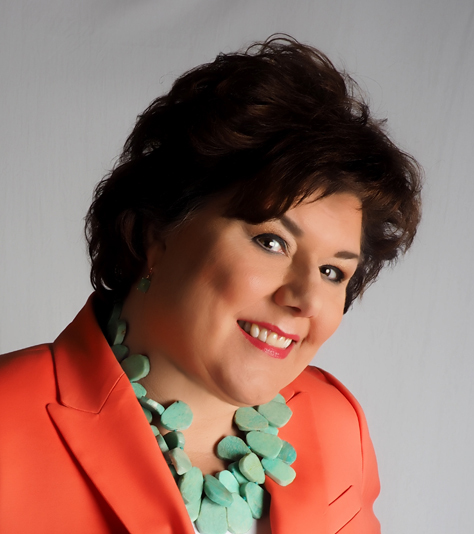 And if you’re focused on solely kitchen design, you may enjoy reading this previous post – How Much Does It REALLY Cost to Remodel a Kitchen In 2015? 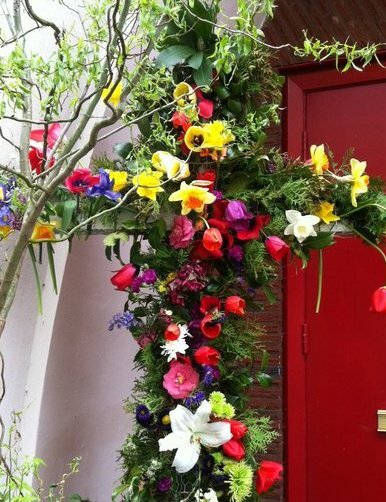 – by Hadley Court contributor, Leslie Carothers. These are some gorgeous cabinets. The kitchen is my favorite room of the house and it always starts with the cabinets. I love how it looks luxury but it also looks homey. I could see me cooking in the kitchens that you show. 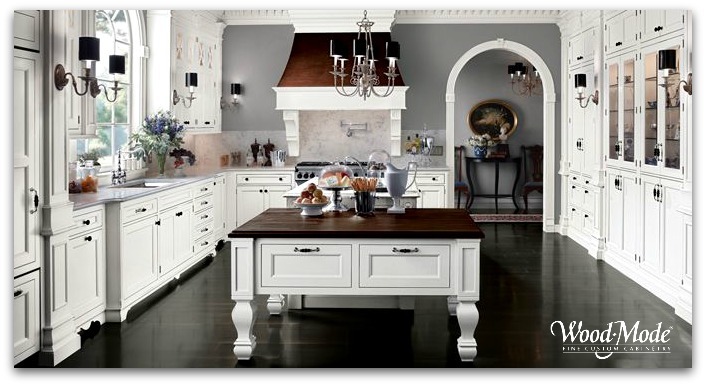 There is something about wooden cabinetry that makes a home look really stylish. I think wood makes everything look better. I don’t think I have seen cabinets that were made of other materials. 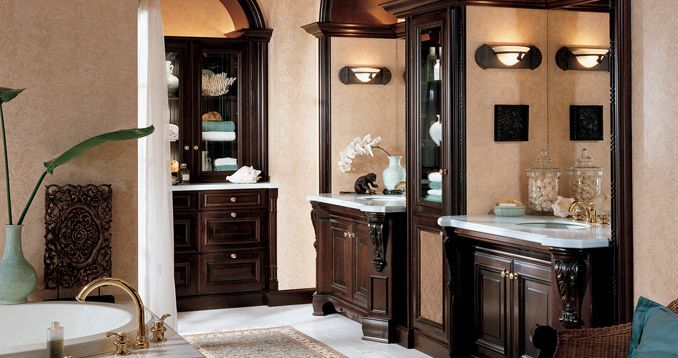 Thanks for sharing this article on custom cabinetry! 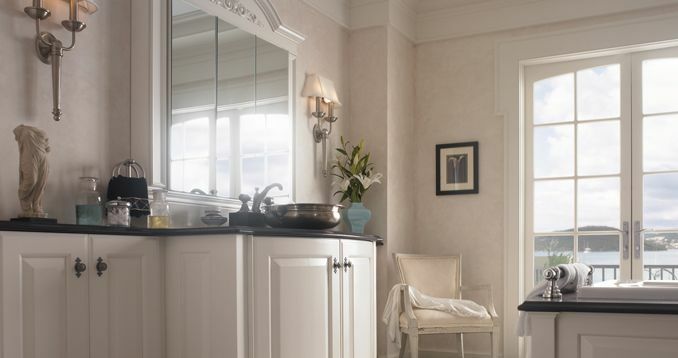 The pictures all look so great- I would love to have the white cabinetry installed in my little beach home. It has a lot of white furniture, so the white cabinets would go perfectly with it. 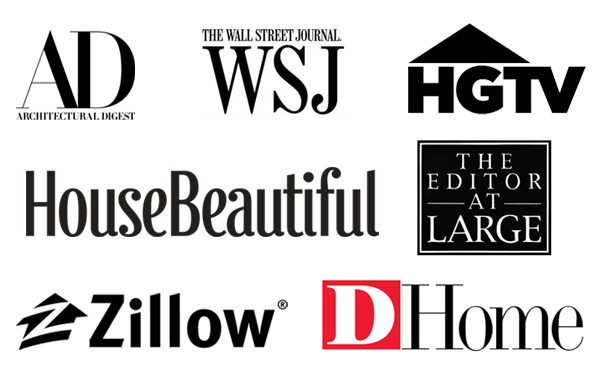 Plus, it is awesome that the company has been in business for such a long time! That’s how you know the company is good! Thanks for posting these pictures. I’ve been trying to find some new kitchen cabinets. I really like the cabinets in the first picture. It’s really interesting how these white cabinets have light fixtures installed on each side. That seems like a smart idea, because sometimes it can be difficult to find things that are hiding in the corners of a cabinet that aren’t well lit. I have to say that these kitchen designs are really amazing and beautiful. 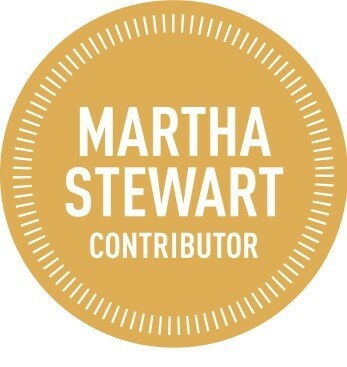 I really enjoyed going through your blog. I am looking for a kitchen cabinetry for my apartment in Qatar. I think this suit for me.